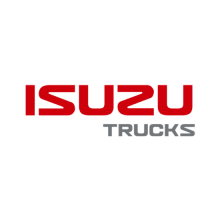 Factory 6 month subscription renewal for the Isuzu electronic diagnostic system used on Isuzu Commercial trucks. This subscription allows for unlimited downloads for this software during the 6 month subscription period. Software will continue to operate normally once the subscription has expired. Special Note: This software will now work with the Nexiq USB Link. Note that the USB Link does not have the capability to perform reprogramming on 2005-2007 Isuzu commercial truck engines. After 2007.5 the USB Link will perform Isuzu truck ECM programming. **2005 & newer Isuzu truck wire harnesses are built with PTO installation in mind. All necessary plugs are located throughout the vehicle and are pre-connected to the ECM. This facilitates the installation & use of a PTO. The IDSS allows the technician to make PTO settings through the ECM. This allows for a clean, professional installation .